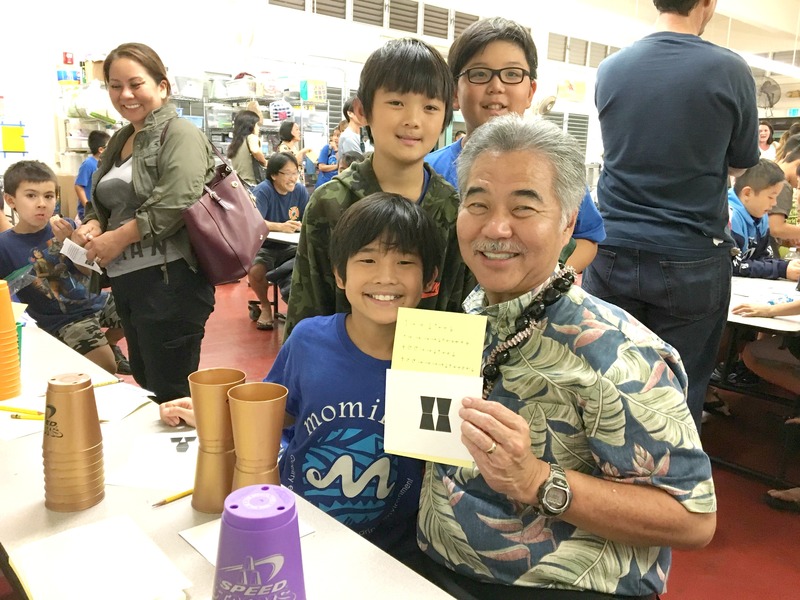 Momilani Elementary School students and Governor Ige at the ‘Everyone Can Code’ event. • New Blueprint for empowered schools and student success – The most important way we move Hawai‘i forward and secure a bright future is to reform our education system. I formed the Every Student Succeeds Act Team with the goal of creating one of the nation’s best school systems. This means going beyond test scores and a one-size-fits-all approach to creating future-focused, empowered school communities where decisions are made by those closest to the children. We have also committed more education dollars directly into the classroom than any previous administration. • Continuing efforts to cool classrooms – No one is more frustrated than I am at the pace of our efforts to cool the schools, but we will keep moving forward. Thanks to $100 million in funding from the Legislature and continued energy-efficient efforts, the DOE has reported that cooling projects covering 832 classrooms are currently out for bid with the rest to go out over the next few months. 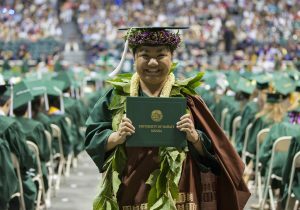 A proud 2016 UH graduate at commencement. •More UH students graduating on time – A record number of students are earning undergraduate degrees within four years, according to recent University of Hawai‘i at Mānoa reports. Officials credit a decade of initiatives to better support student success. Also, more Hawai‘i high school students are getting a headstart on college courses offered on their campuses, thanks to a dual credit program with the UH system, the DOE and P-20 Partnerships. UH’s contributions to the innovation economy keep growing through systemwide efforts to advance cybersecurity education, research and community awareness for high-quality jobs.